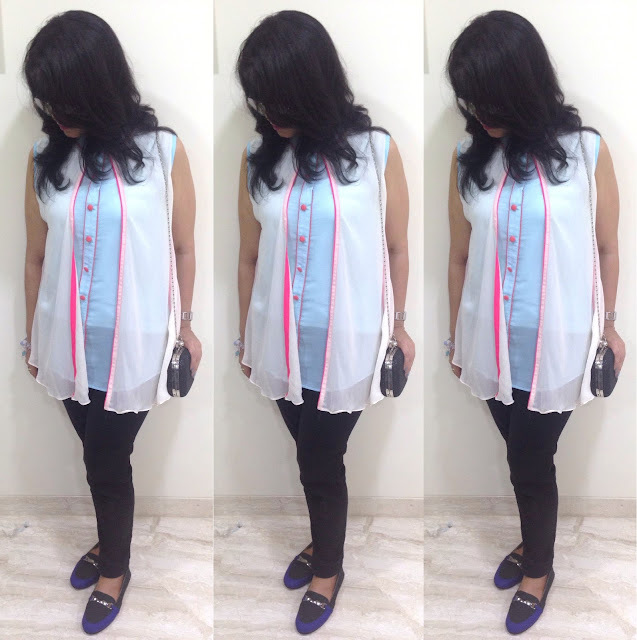 Hey Guys...I am back with another collaboration post with Vintage Desi and this time, I am talking about a designer top that was sent to me for review. 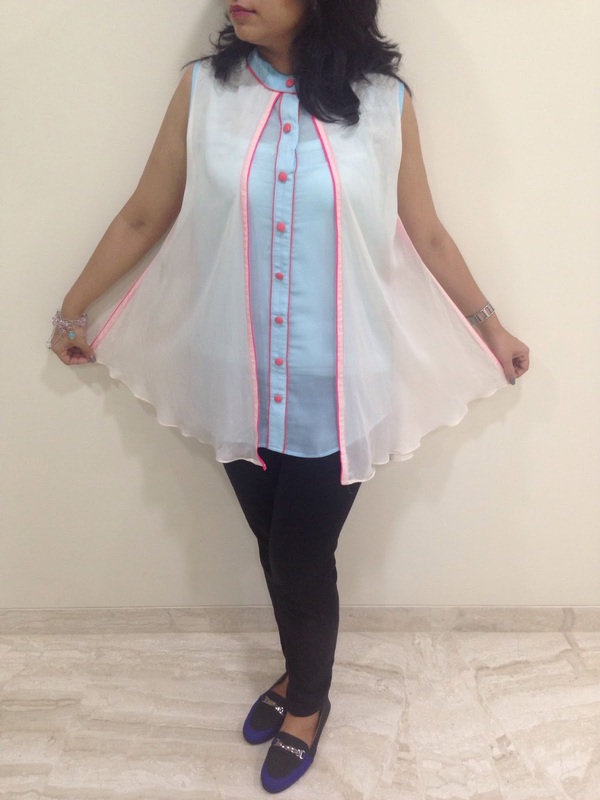 The sweet people at Vintage Desi sent me this very stylish powder blue shirt with white grey & pink detailing by Designer Anisha Shetty and I was more than elated to make it my own. It is beautiful piece in flat georgette fabric and I love the way it falls on my body. 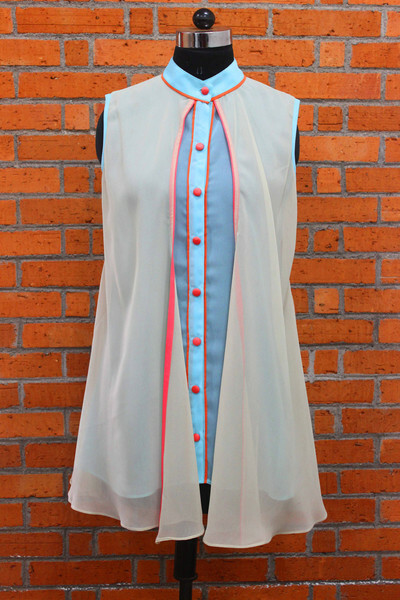 The subtle colours and the high collar give a very classy feel to it. 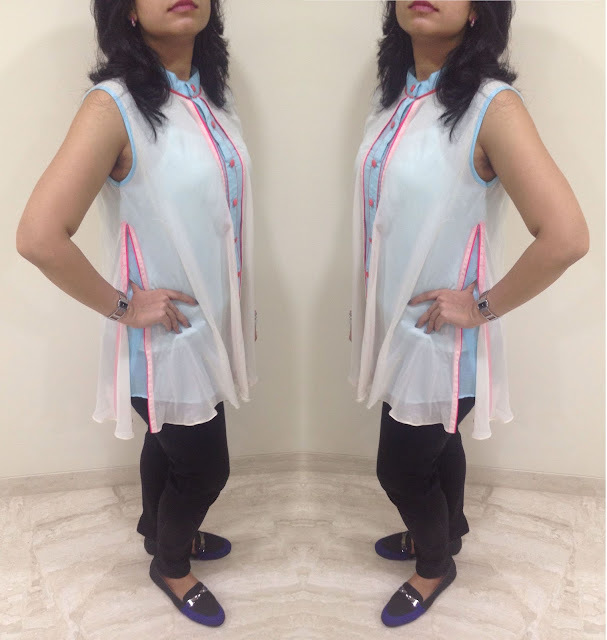 I wore it to a family brunch because it not only looked stylish, but also because it would help me to hide my bulging tummy after the sumptuous meal I was going to devour. Smart Choice isn't it? Scroll down to see, how I styled the top. A pair of reflective sunnies. And you are Brunch Ready! 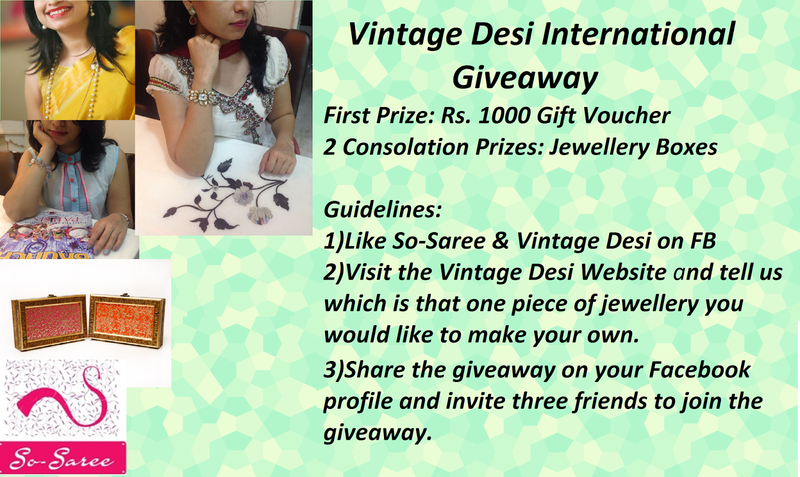 And now some good news...Vintage Desi is hosting a giveaway in association with So-Saree to give So-Saree Readers an opportunity to win something awesome. One lucky Winner wins Rs. 1000 Vintage Desi Gift voucher (valid with purchase, not redeemable as cash). While 2 Consolation Prize Winners win gorgeous Jewellery Boxes by Vintage Desi. 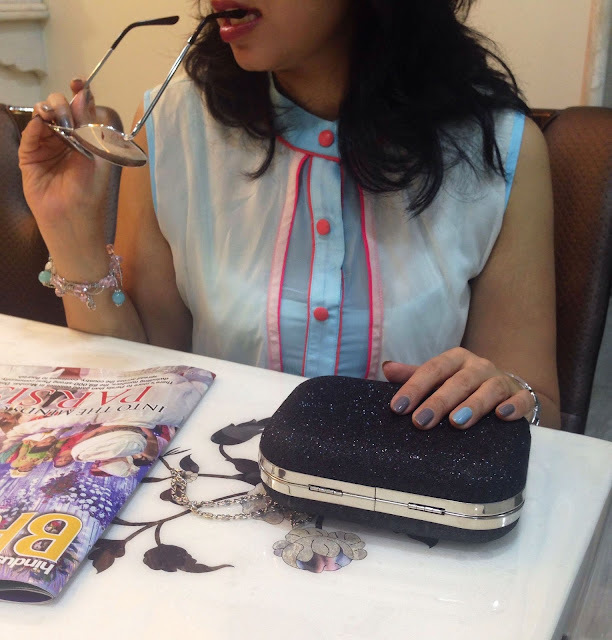 1)Like So-Saree and Vintage Desi on Facebook. 2)Visit the Vintage Desi Website and tell us which is your favourite pick from their awesome collection that you would like to make your own. 3)Share the giveaway on your Facebook profile and invite three friends to join the giveaway. This is an international giveaway and you can share as many times as you want. Giveaway closes on the 20th of July 2015 and winners will be announced a week later. Winners will be chosen by a lucky draw from a pool of valid entries. Thank You for coming up with such an awesome giveaway once more. I would desperately like to win this one as it has got an awesome voucher & I would desperately like to win it. The website has an awesome jewelry collection which is simply astounding. I am gonna give whatever it takes to win this awesome giveaway as I am a jewelry person & I have a heart on one of the pretty necklaces. I have always wanted something like this from ages. It goes with any outfit & revamps our look. I have followed all the rules & will try my best to share this giveaway maximum number of times. 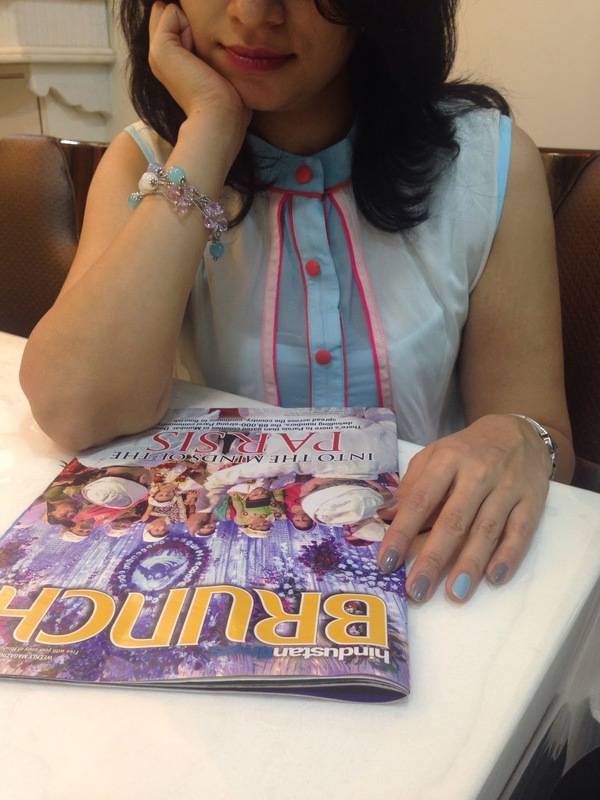 I am dying to win that glamorous necklace. I would be delighted if I win this giveaway. Thank You for hosting such wonderful giveaways. Wonderful Giveaway , Liked and shared. Vintage desi has good collection of Indian Ethnic Wear . Beautiful and Gorgeous Anarkali suit , Truly Indian , Perfect for a festival . I would like to get this Traditional gold, kundan and pearl maala from Vintage Desi.This Gorgeous Mala would be a perfect match with all my Ethnic wears , sarees and suits.would look traditional and classy . nw coming to the ques..
i am huge fan of vintage desi.. i luv thr collection.. so it was really tough to choose one piece of jewellery.. It will act lyk a cherry on cake on any outfit... would luv to flaunt dis gorgeously..
Lovely top, my favorite sheer fabric. As always, you have styled it with such class & sophistication. 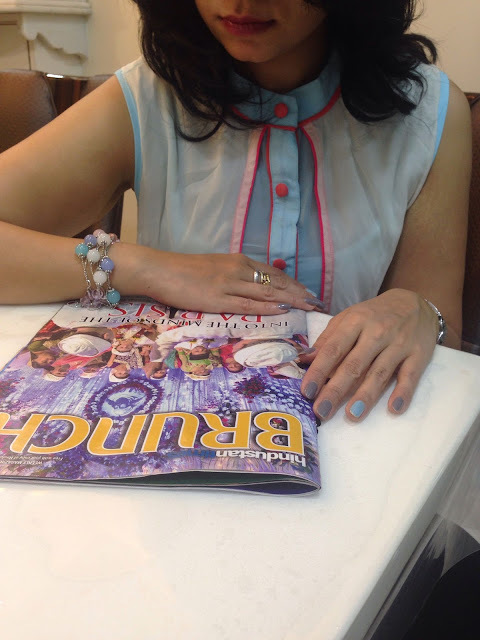 Love the hues in the bracelet, of course, not to miss the play of nail colors. lovely button detailing. Keep the outfit posts coming in !! The top is really unique and stylish! Love the high collar and the flowing fabric. You have styled it so beautifully! I am actually loving the top. The color theme is so soothing and fabric seems so breathable. Thumbs up for this cool outfit style!! If I get to own something from the exquisite collection of Vintage Desi, it would be this oh-so-dreamy floor length dress that seems like custom-made for my slim body shape ;) Similar dresses are still in my wish list since longgg.. Simple yet so elegant and b'ful that it catches your attention at very first look. Would love to own this distinctive suit, designer brand...which makes my heart skip its beat. Loved this neckpc...I would totally rock it! LoL! I love this amazing dazzling earring..
thank u so much 4 this lovely giveaway my favorite piece is http://vintagedesi.com/collections/earrings-alpha-desc/products/4-layer-jhumkas .